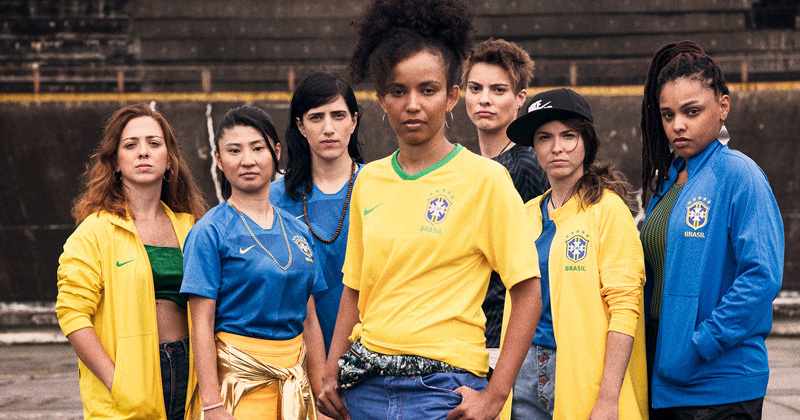 Welcome to second country, a new series for fans who are looking for another country to support other than England (or even those who never planned to support The Three Lions in the first place). Premier League clubs are sending more players to Russia than any other league (124 in total), but with many clubs sending players to multiple countries, how do you separate your options? To kick things off, let’s start at the top. It’s been a stellar year for Manchester City. 100 points, 106 goals…. we don’t have time to list the other records. Quite simply they have laid down the gauntlet for next season, and it’ll be exciting to see if they can climb the mountain once again. City are represented by more players than any other club at the World Cup, a huge 16 in total. And there’s one nation in particular who will have a spine of players from the blue side of Manchester: Brazil. Coming soon to a street in Manchester. Image by Nike. The Seleção head to Russia as one of the favourites, and whilst much of the pre-tournament build-up has been centred around main man Neymar, this is arguably a more important summer for another of their famous sons, Gabriel Jesus. The São Paulo-born striker has more than lived up to his billing since he arrived in England, and at the tender age of 21 this is just the beginning. I’m fully expecting him to challenge Kylian Mbappé for the best young player award and, if things fall his way, the Golden Boot. Another great story in the Brazil squad is Fernandinho, one of just two players who started their soul-crushing 7-1 defeat at the hands of Germany 4 years ago, before retaining their place in the squad this year. It’s a testament to his consistency over recent seasons, and the part he’s played in City’s historic year. He has a fight on his hands to start with Casemiro occupying a similar role, but if Brazil go far you can expect significant minutes from one of City’s longest serving players. It helps that they have a fantastic, blue away shirt. Image by Nike. Completing a quartet of players are Danilo and Ederson. For the former, an injury to regular right-back Dani Alves in May has left the door open for a starting role. Danilo impressed towards the back end of the Premier League, and the timing of his improving form and increased gametime couldn’t have been better. The situation is trickier for Ederson. Despite a fantastic debut season in Manchester, he is set to backup incumbent #1 Alison. It’s an embarrassment of riches at the position, and with the two being born just over a year apart, it’s set to be an intriguing battle for years to come. Ultimately as a City fan, this is going to be the best World Cup yet. 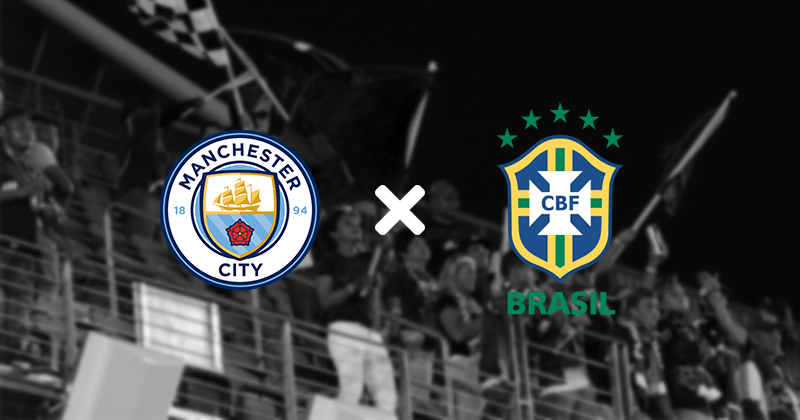 Virtually all of the Sky Blues starting XI will be playing in Russia (except for, at the time of writing, the shocking omission of Leroy Sané), and of all the nations to root for come opening week, my choice is yellow and blue and dancing to the rhythm of samba. Despite injury concerns, captain Vincent Kompany is on the plane for Belgium alongside City player of the year De Bruyne. It’s a strong one-two punch in one of the most talented squad in the tournament, familiar words which ‘ought to be turned into action soon. Other notable faces include David Silva for the imperious Spain, as well as another duo in Agüero and Otamendi who will be playing in an Argentina side hoping to go one better than 2014. 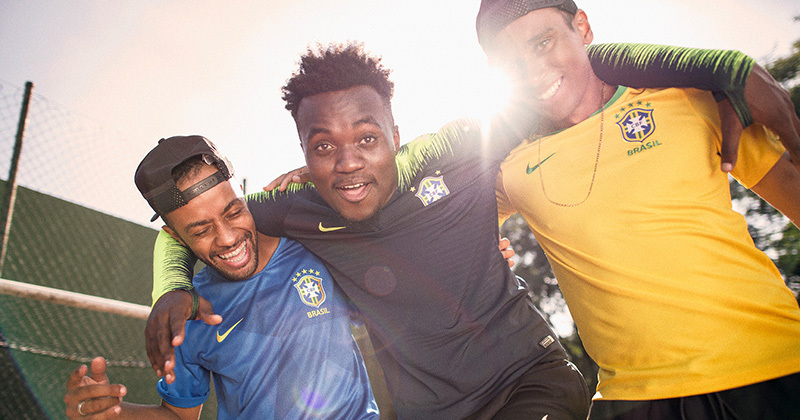 Whether you're a City fan with a newfound love for the boys from Brazil, or you simply want to find the best price of the new home and away shirts, you're in the right place.